I’ve been to London and back today. I’ve done this many times before, but it still feels weird when I go to London and come back in a day. It feels even weirder when I’m out of the house for a normal time frame. I had very civilised train times today – 09:05 out of Harrogate, back in Harrogate for 17:45. Anyhoo. I’m back now and I’ve got a glass of red wine on the go. I had an idea for a project in mind – a project to make my own 35mm nagative film scanner our of a flatbed scanner and a white triangular prism as I’d read this works. Reading schmeading. It didn’t work for me. I tried making a triangular prism tent, I tried putting a mirror on the flat bed scanner and I tried flat bits of white paper pressed onto the negatives. Nada. This shot is a simple camera phone with the negative held up to a white screen then inverted. I’m only including it in this blog so I’ve got a benchmark for improvement. I either need to bite the bullet and buy some kind of negative scanner or research further, how I’d go about making one. 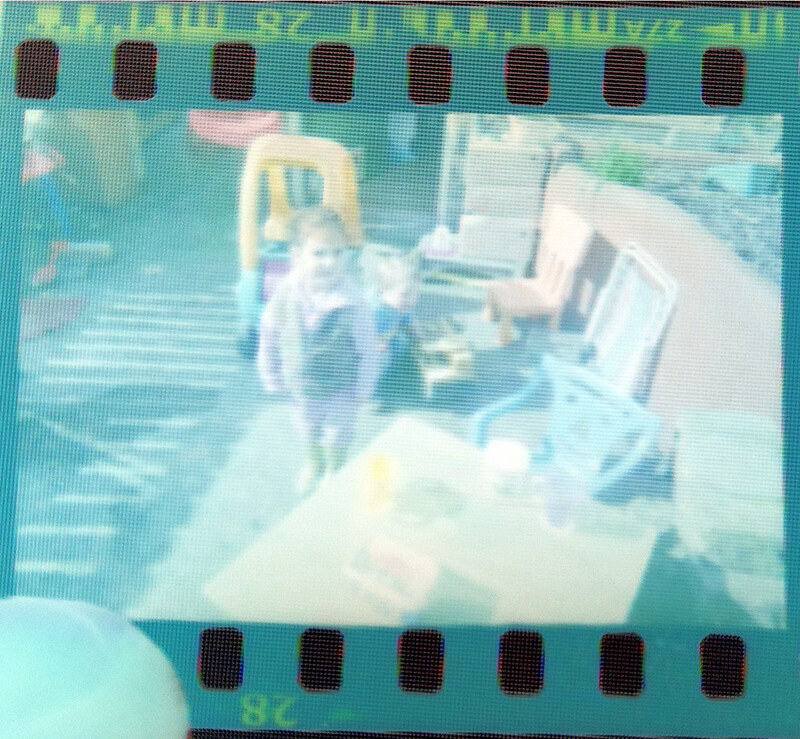 I’ve got a shed load of negatives and I’d like to archive them digitally. It’s a big project, but like I’ve said before on DragonDrop.org a few times.. file management is the new Rock n Roll.